Chocolate, the answer to everything. Are you as chocolate obsessed as we are? 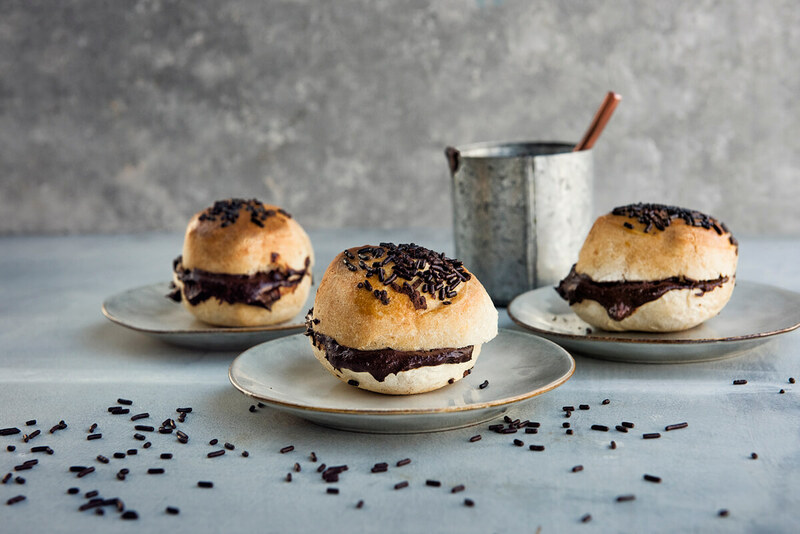 Well, we can’t get enough of these chocolate surprise buns. Come on, try them! Bring the whipped cream, sugar, and cacao to the boil in a saucepan. Remove from the heat, add the grated chocolate, and mix well. Place in the fridge for 2 hours. Take out of the fridge and whip the chocolate mixture until its smooth. Open the can of Petits Pains White. Glaze the buns with a little bit of milk or a beaten egg and with the chocolate sprinkles afterwards. Bake the buns until golden brown for 12 – 15 minutes and allow them to cool. Cut them in two and spread them thickly with the chocolate cream.